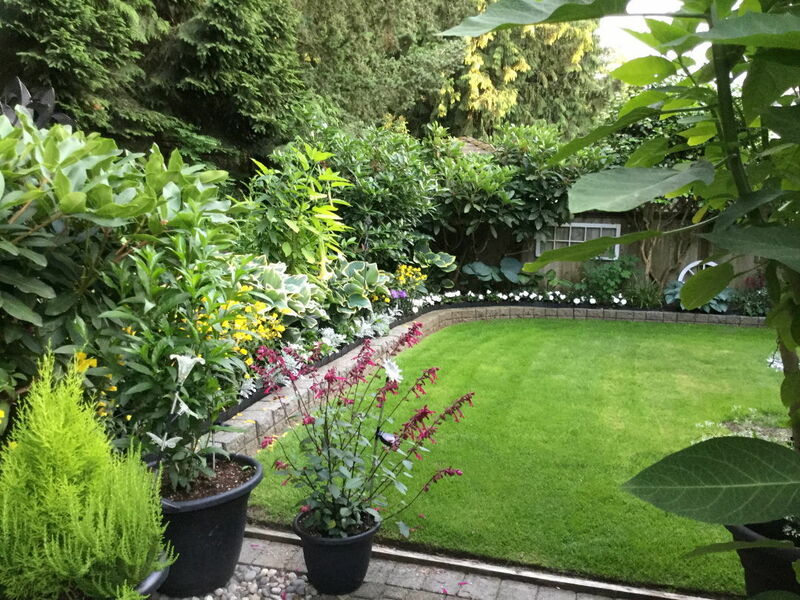 Welcome back to Sharon Vickers’s garden in Surrey, British Columbia, Canada. 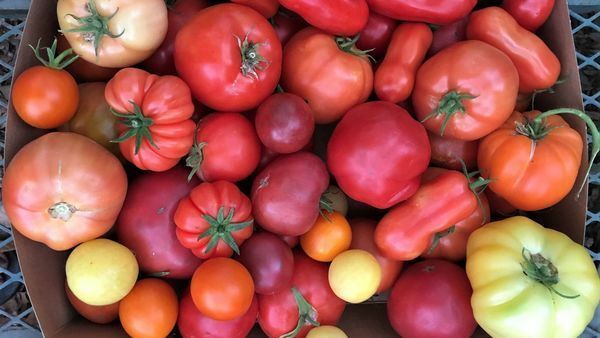 We saw part of this garden yesterday, and today we’re back for more color! This is the backyard garden. 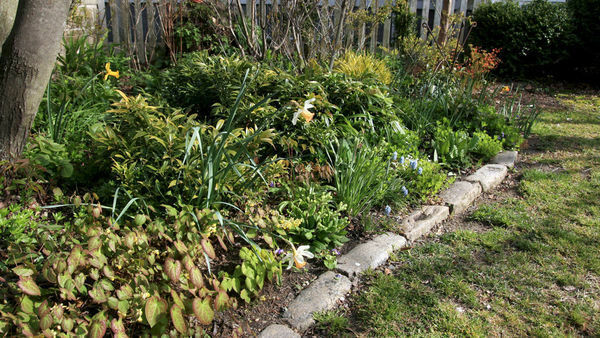 While the front we saw yesterday was sunnier and loaded with flowers, this part is quieter and greener, though the white impatiens at the bed edges are still there, giving unity to the whole garden. 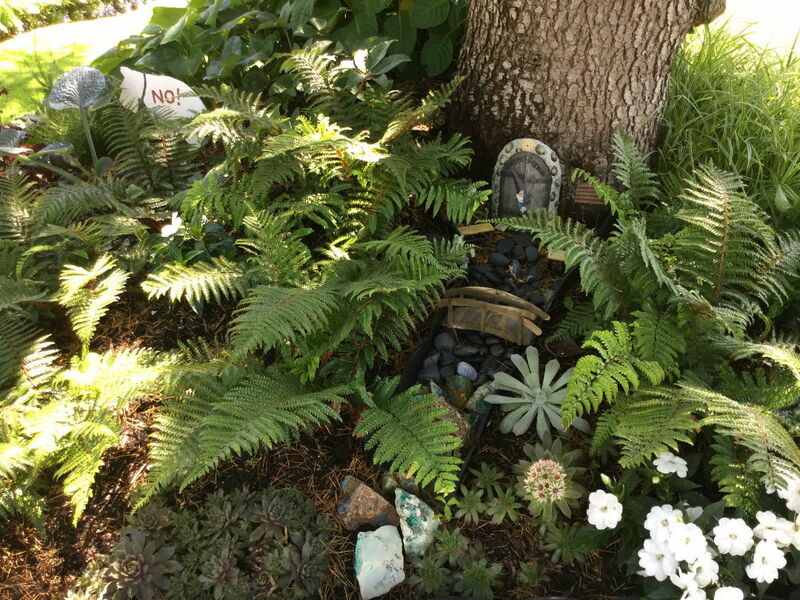 This sweet little fairy garden is tucked at the base of a tree, half-hidden among the ferns. What fairy wouldn’t want to take up residence here? 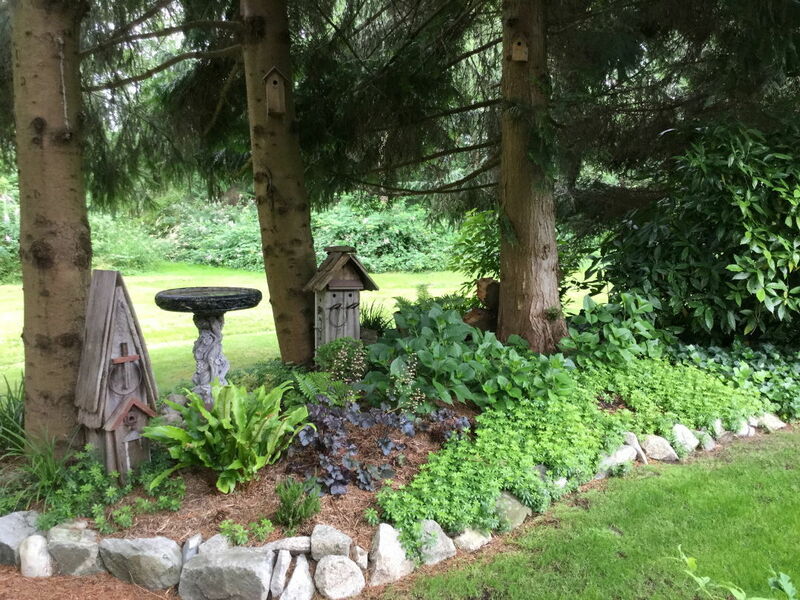 More of the backyard—a quite green space. Stone edging gives a crisp definition to the beds, clearly demarcating the boundary between lawn and garden bed. 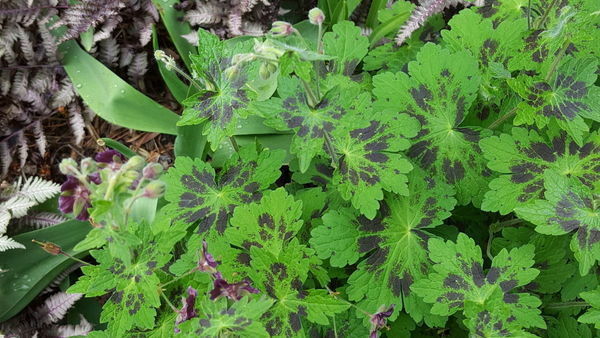 It looks great, and if you have a lot of stones in your soil, it can be free. 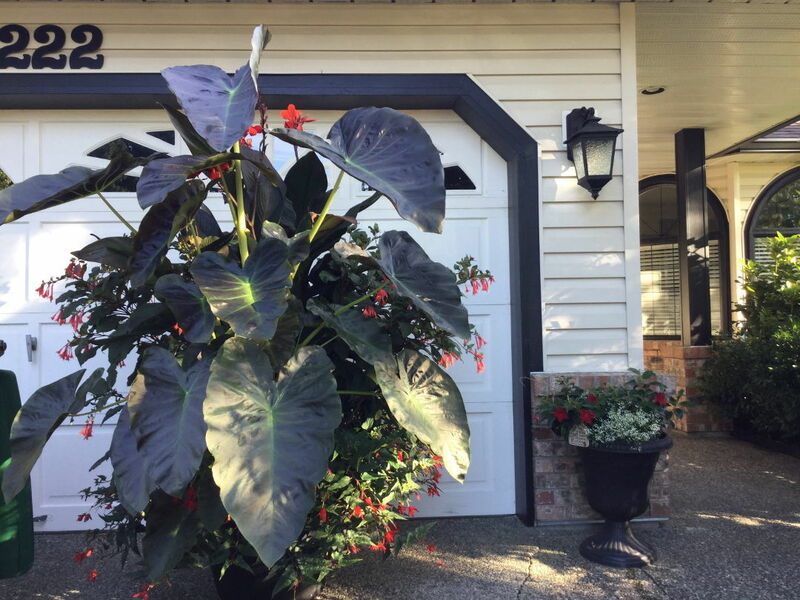 I love these two massive planters overflowing with tropical foliage sitting in front of the garage. What a dramatic statement they make! Another view of one of the planters from a different year, when the garage door was a lighter color. It looks great either way! Two very different hydrangeas are showing off their stuff in this photo. 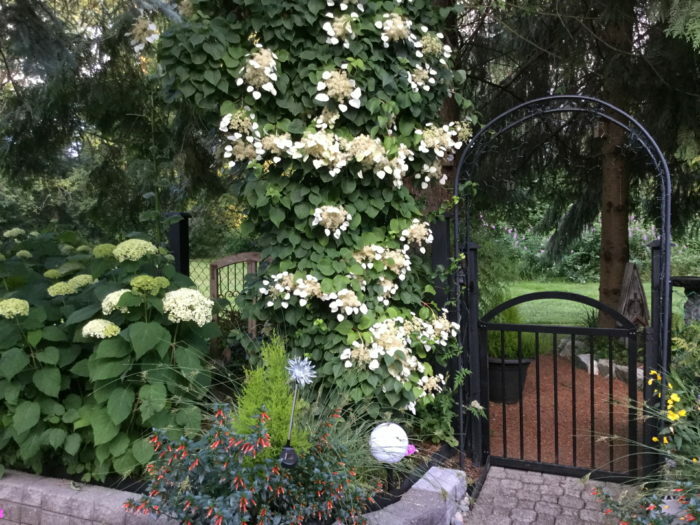 At the left is the Annabelle hydrangea, and at the center is an incredible, flower-laden climbing Japanese hydrangea vine (Schizophragma hydrangeoides, Zones 6–9). Climbing hydrangeas can be incredibly beautiful, but they take time to develop and to start flowering heavily. 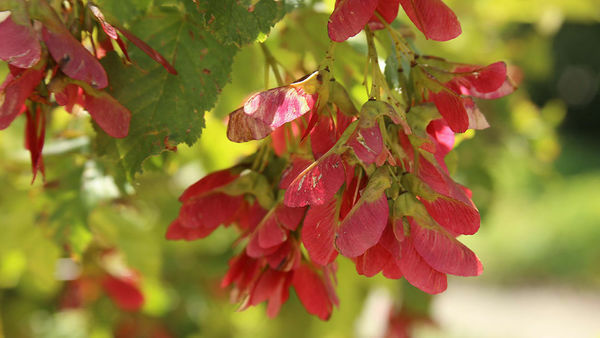 If you have a good spot for one, the time to plant it is now so that it has time to settle in and start showing off. 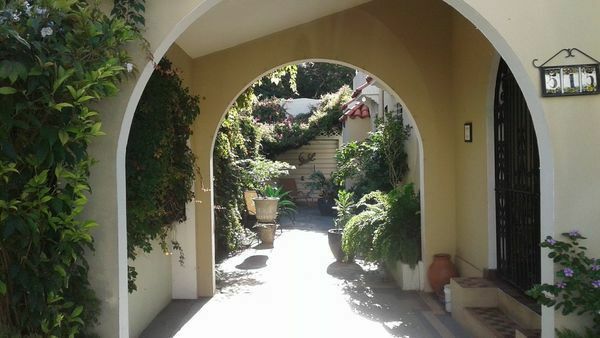 Another view of the same part of the garden. 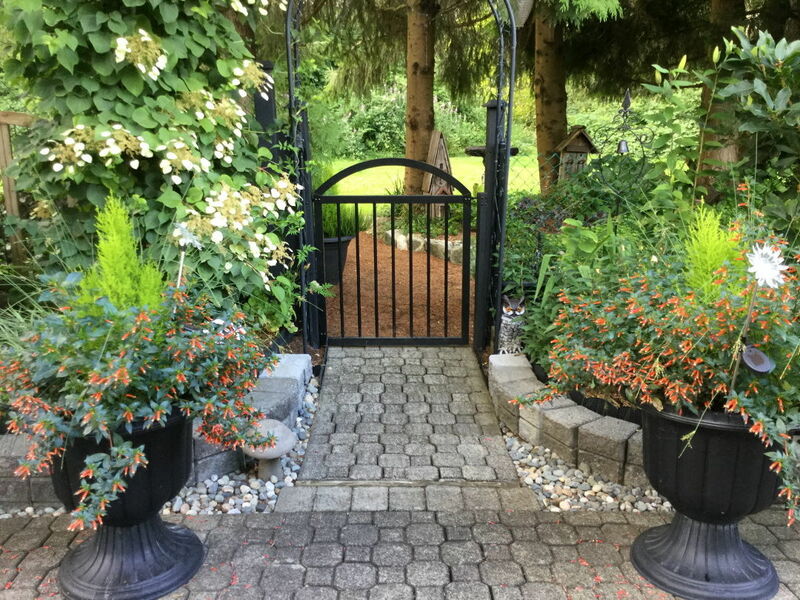 The simple black gate makes a clear distinction between the more formal part of the garden in the front and the shadier area past it. Every garden needs a place to sit and enjoy it. This one looks particularly comfortable and inviting. 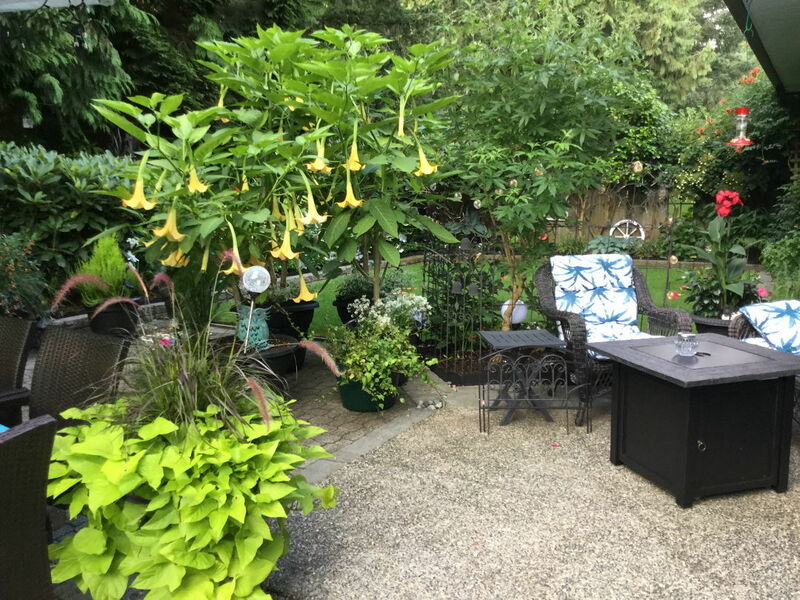 I’d love to sit back in one of those chairs, enjoy the garden around me, and drink in the rich fragrance from the angel’s trumpet blooming overhead. Gain inspiration for your own garden seating area here. 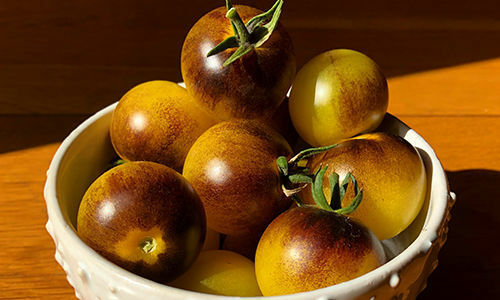 One last piece of this wonderful garden! 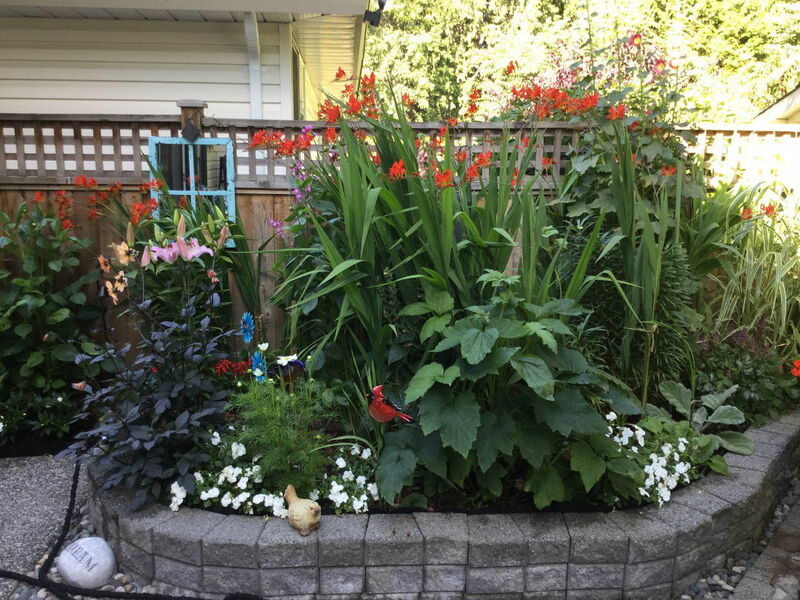 Here, again, white impatiens make a clear connection to everything else, and an enormous mass of red lucifer crocosmia (Crocosmia ‘Lucifer’, Zones 6–9) steals the show in the center of the bed. 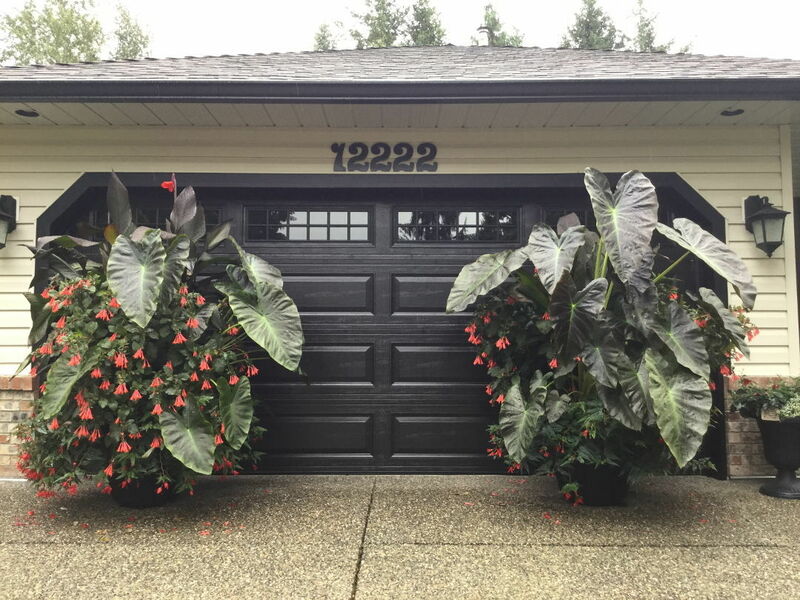 The 2 planters sitting in front of the garage door are mind bogglingly lush and opulent...dare I say Rubenesque in their very generous proportions. I like the hint of mystery the darker paint color of the garage door gives as a backdrop. 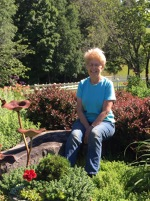 I am impressed with how beautifully maintained all of your garden areas are. Wow that hydrangea vine is gorgeous. 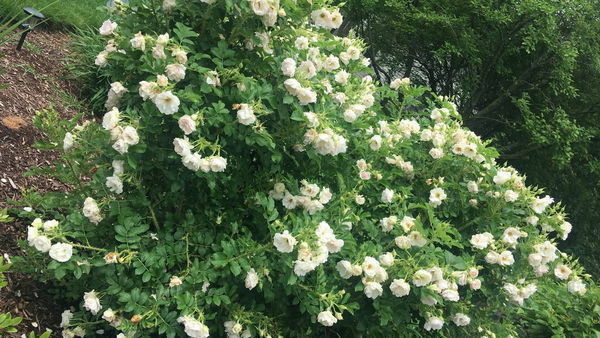 I have read where many say they can't persuade theirs to bloom. You are doing something right I have to say. Again I am suffering from garden envy! Thanks for 2 days of great photos and inspiration. 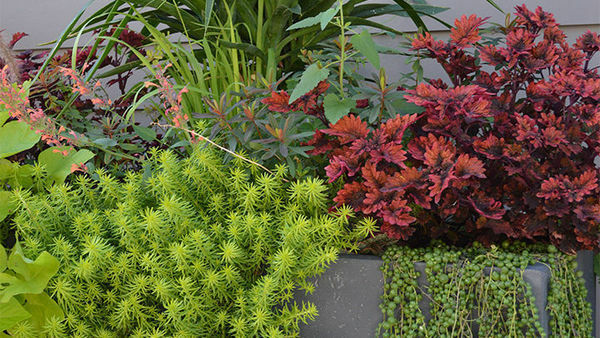 Those 2 pots in front of the garage brings "wow factor" to a whole new level. What ARE those giant leaves? Colocasia? 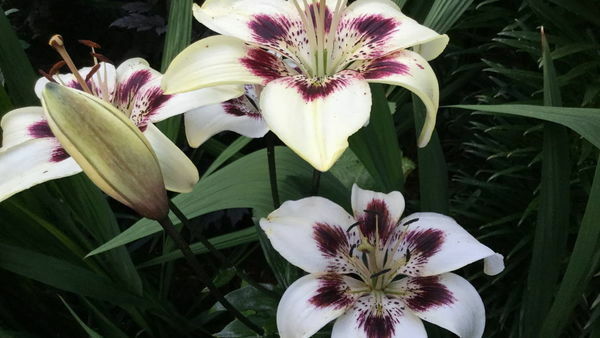 And the lilies yesterday were gorgeous.